Bite Beauty Amuse Bouche Lipstick Mauvember for November 2016 | Top Beauty Blog in the Philippines covering Makeup Reviews, Swatches, Skincare and More! BITE Beauty has teamed up with the Mauvember Foundation to support men’s health by crafting an exclusive Amuse Bouche Lipstick in the Mauvember 2016 shade to be sold during this month of November only. Crafted by hand, BITE’s small batch, low-heat process preserves a balanced blend of lip-quenching nutrients, vitamins, and omega oils that are essential for healthy lips. The limited-time only Amuse Bouche Lipstick — Mauvember 2016 lip color features organic oils with microencapsulated, triple-milled pigments to give you the ultimate in saturated color and weightless coverage. Inspired by her Father's winning battle with prostate cancer, BITE Founder Susanne Langmuir wanted a fun, easy, and meaningful way for women, called Mo'Sistas, to support the men in their lives who face health issues. 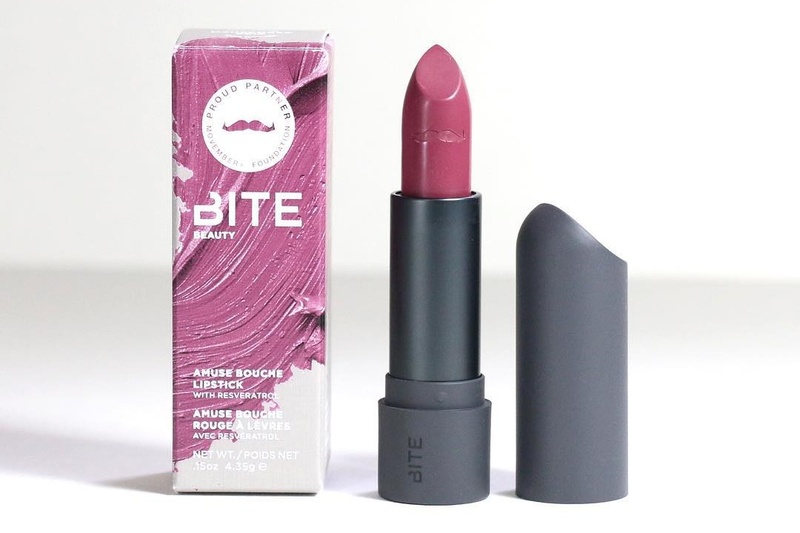 BITE's custom-blended mauve shade is a way for women to proudly participate, spark conversation, and ultimately raise funds for men's health during the month of November. One hundred percent of BITE's proceeds and half of all Mauvember 2016 lipstick sales go directly to the Movember Foundation. Beautiful color for the season. Hi Dear, very nice post, i like the color of the lipstick! Maybe you would like to follow each other ? If yes, just follow me and let me know quickly, i ll do the same asap.